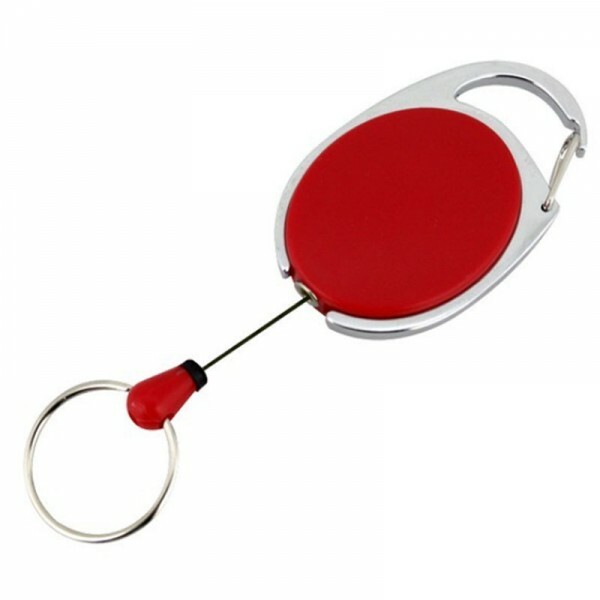 SKS Coloured Retractable Key Rings x 12. Lightweight Plastic Reel with belt loop clip. 35mm diameter x 600m long nylon cord. Pack of 12 in assorted colours: 3 x white, 3 x black, 3 x red and 3 x purple. A convenient and practical solution for keeping keys, identification cards and tools safe and secure.